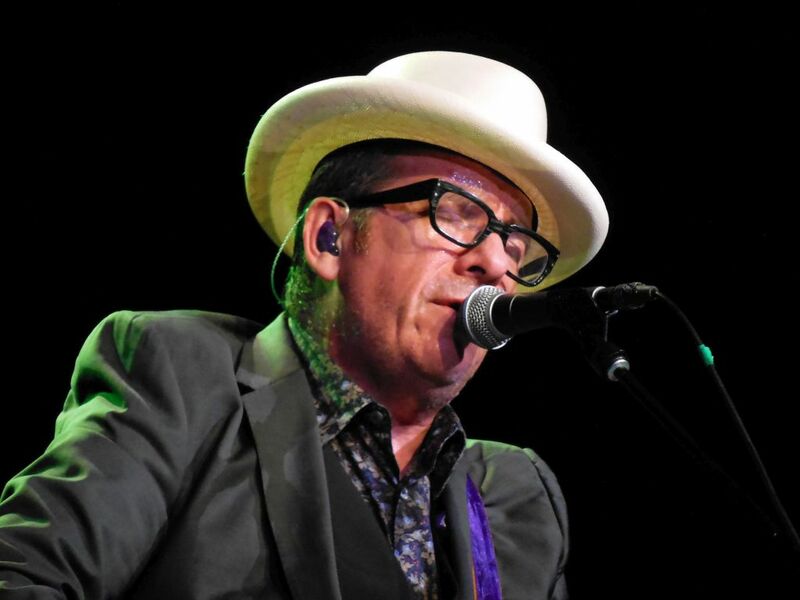 Having seen Elvis Costello struggle vocally the night before in Knoxville, right from the opening lines of the night’s first song, “Jack of All Parades,” it was obvious that he had fully recovered. He continued to sing brilliantly the entire night contributing to an overall entertaining performance. Nashville fans also got to hear eight songs not played at the Knoxville show. 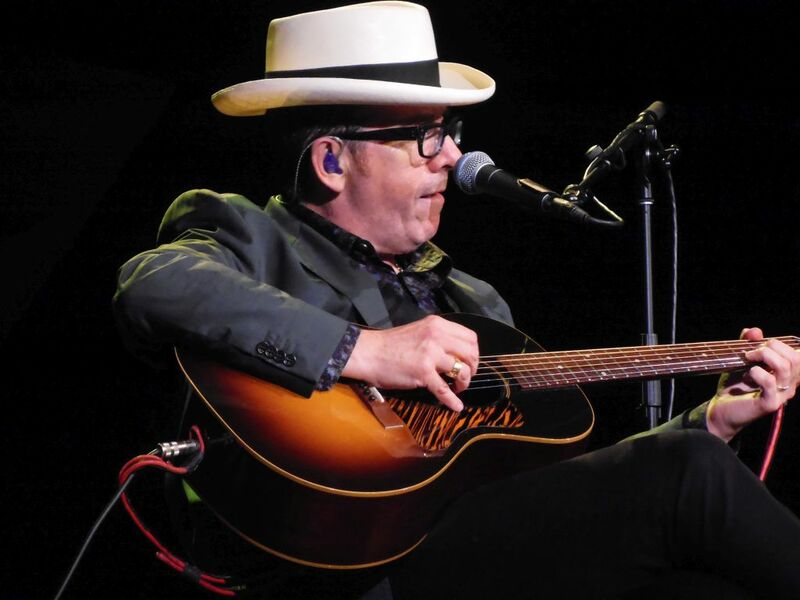 It’s no secret that Costello loves Nashville and the Ryman. Tonight marked his 16th appearance on the famous stage. 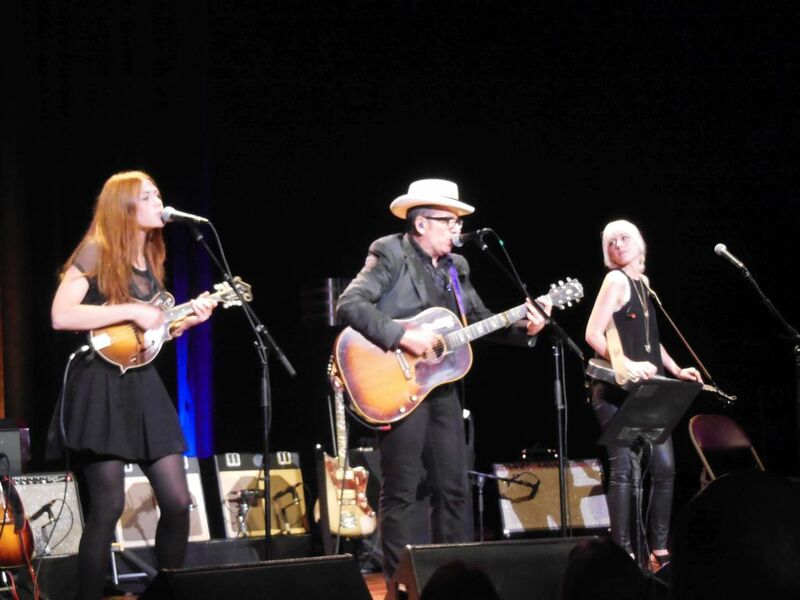 For the last of three consecutive nights, Larkin Poe opened the show and joined Costello mid-set for some lively musical and vocal accompaniment. 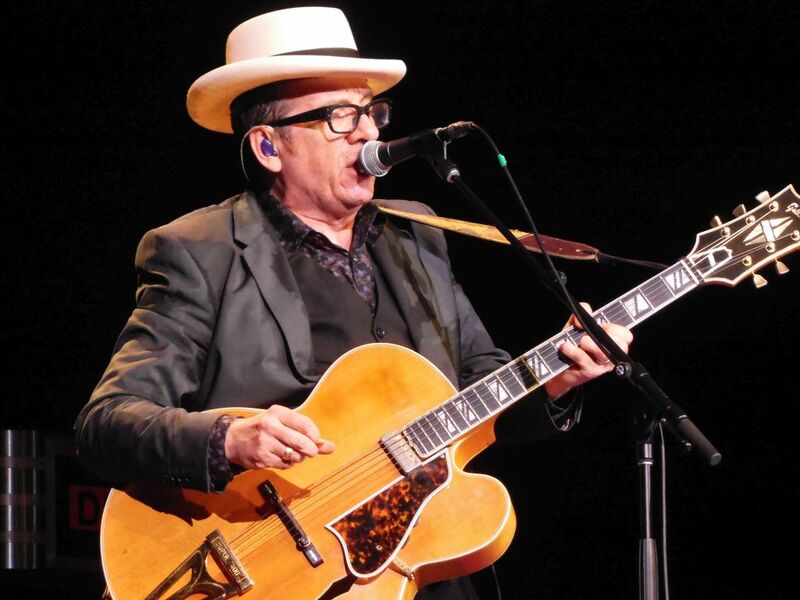 Costello referenced Music City before playing back-to-back songs from his early band Flip City (“Cheap Reward” and “Poison Moon”). He said he thought these songs would fit right in with the sounds heard down the street on Broadway. 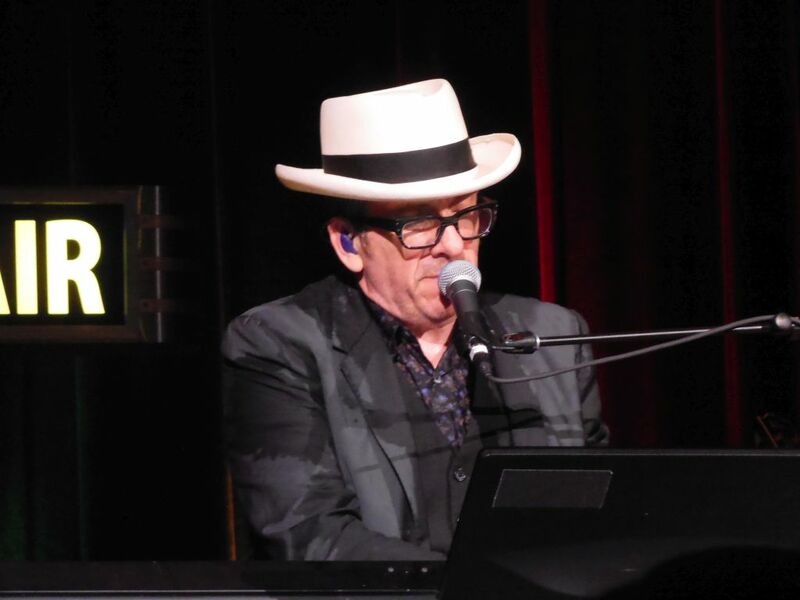 Surprisingly we heard an alternate version of “The Last Year of My Youth,” a song Costello recently debuted on the Letterman show. This night’s version differed significantly in tempo as compared to the one played on Letterman and in Knoxville. Obviously a work in progress, Costello noted this was a version he worked out while in Chicago. Saturday evening’s entertainment in Music City was wonderful. Elvis Costello is certainly welcome back here any time he’d like! I’m sure we will see him again soon. 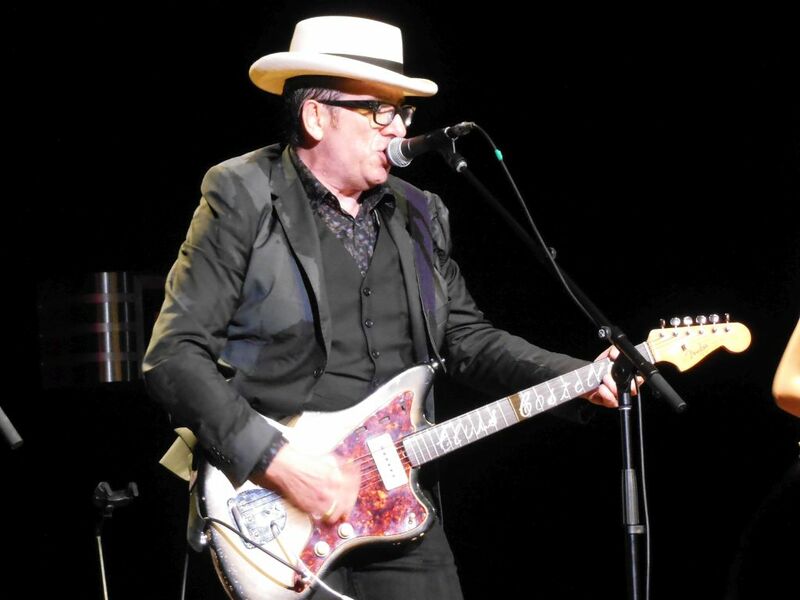 For more on Costello’s Ryman performance, see this review from the Nashville Scene.